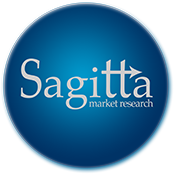 Sagitta Market Research Ltd has been carrying out hall tests (central location testing) since 1999. Over the years, we have established a reliable network of venues across the UK. To ensure high footfalls and make your research more effective (especially in the case of low penetration samples), we use venues in central locations in most of the major cities throughout the UK. Taste testing – This includes both food and beverage testing with freezer, refrigeration and cooking facilities for the storage and serving of beverages and food at the appropriate temperature. In fact, we have a specialist team of supervisors and interviewers who are highly experienced and skilled at setting up venues and products for testing. Apart from following the Market Research Society’s (MRS’) quality guidelines, they understand the importance of following strict criteria to ensure there is no cross-contamination, that visual effects are uniform and that the measuring of products is accurate and consistent. We offer CAPI (Computer Assisted Personal Interviewing) using our laptops or iPads. We can also provide CAWI (Computer Assisted Web Interviewing) for the occasions when you need instant, live results. Indeed, most of the venues that we use for hall tests also have Wi-Fi for online data collection. We recruit respondents in-street prior to inviting them to come to the venue for the interview or product test. This means we can screen and interview a significant number of respondents in a single day, whilst ensuring we speak to a representative sample. Hall tests therefore provide a very cost-effective way of conducting both qualitative and quantitative market research surveys. For further information about hall tests and central location testing, please contact us.